Unleash the raw allure of the Earth in your very own kitchen through Sienna Rope cabinets. Nothing brings out an unspoilt yet luxurious look and feel to the heart of your home than with such cabinetry choice. Other than the exquisite tone, Sienna Rope cabinets are also as sturdy as they are beautiful. And by choosing Craftsmen Network to supply you with these, you are not only taking advantage of the given major benefits but you can enjoy all the delightful fringes from pure quality as well as superb customer service. Built from the choicest species of maple and birch, the smooth and fine texture of our Sienna Rope cabinets emanate with an elegance that is made more lavish with a touch of cognac stain and glaze of sumptuous chocolate that brings out an intensity in décor, unlike others. Other than their considerable impact to aesthetics, such hot commodities are strong enough to withstand the heavy functions, excessive moisture as well as constant temperature changes in the kitchen. Just like any other cabinet piece, durability is key to make Sienna Rope cabinets last to grace your home with their exquisite appeal and dependable strength for a long, long time. 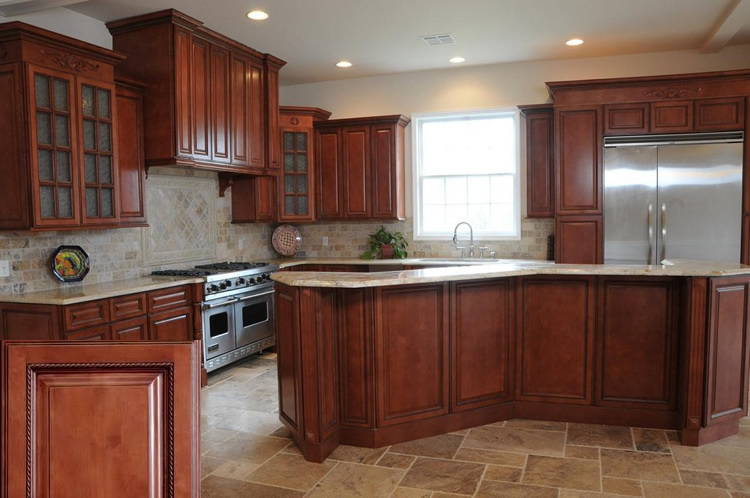 Craftsmen Network sees to it that durability is in our cabinets through integrating high quality wood with precise and skillful craftsmanship. 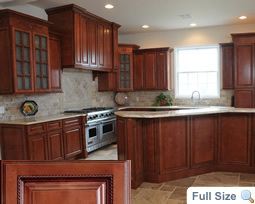 We offer various sizes and make to fit your kitchen perfectly. 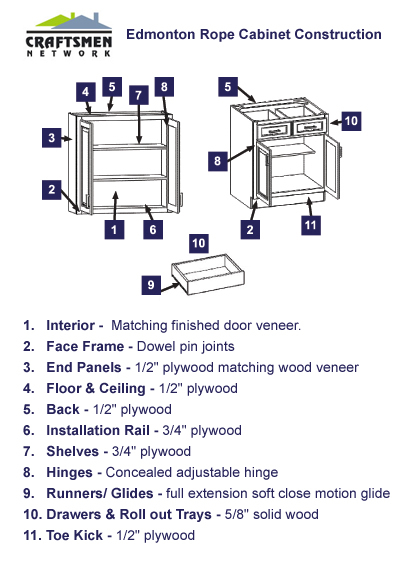 Afford your home the quality it deserves, make the most value for your money by ordering your Sienna Rope cabinets.